Today was a pleasant Easter Sunday, where I spent much of it at the 2017 Sakura-Con, a convention for lovers of anime and manga. Though for me, it was more a nostalgic prance through a portion of pop-culture that is an occasional guilty pleasure for me. There will be more pics and some notes, after I get some rest and pick time out of my busy schedule to sort and edit them. In the meantime, I hope the many of you out there had a most wonderful, adorable Easter Sunday. 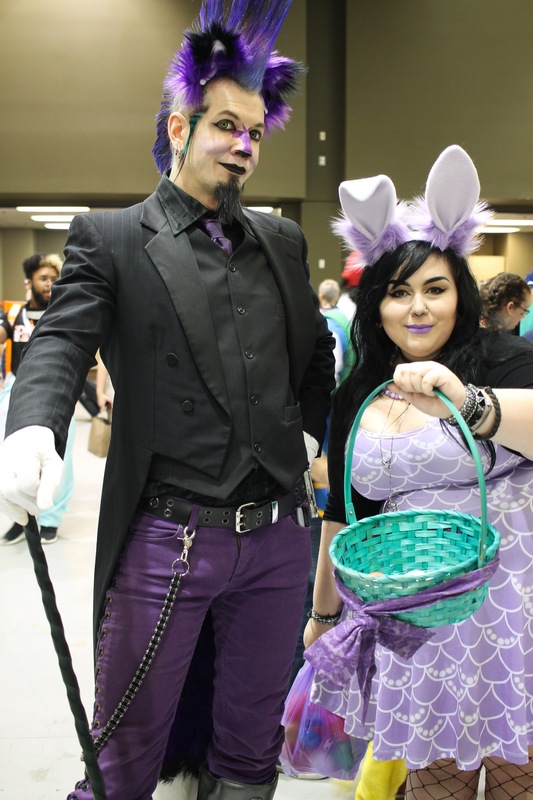 Picture above – no idea on who the two attendees were cosplaying as, or perhaps there is no reference other than the Easter subtext, but I love their presentation. Posted on April 16, 2017 by Orion T.	This entry was posted in People, Seattle, sundays and tagged cosplay. sakuracon, costumes, Easter, festivals, Seattle. Bookmark the permalink.